It was unusual for me to have supper for quite sometimes. So, it happens that two of us visited Sailor's Cafe during one fine Saturday night. Serving Asian fusion cuisine. 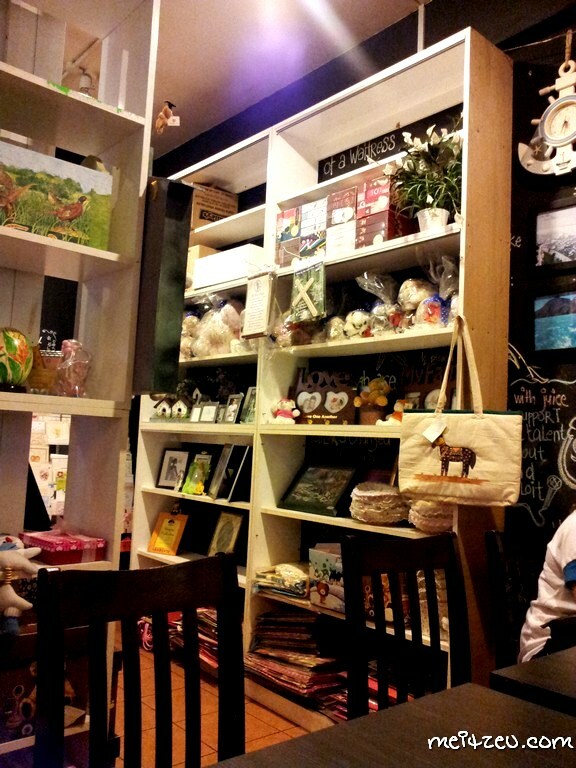 I love the setting and the decorated cafe, it was a lovely place and a cozy one that suits for small gathering as well. Non the less, the Chicken Salad that I had was delicious with the fine sauce mixture. 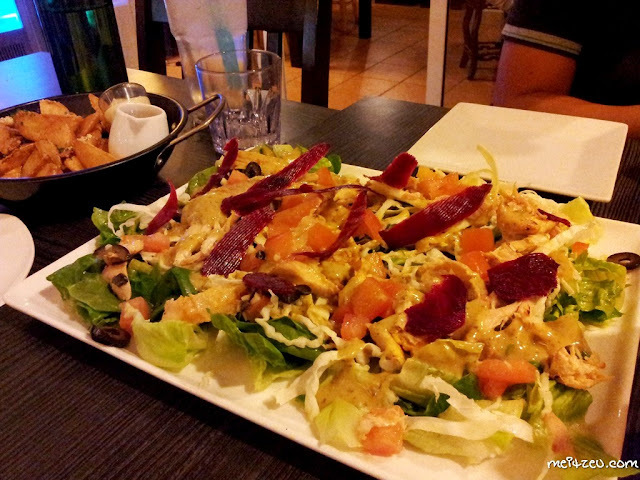 Thought that the plate of salad would be a small one but turn out it was a huge plate that we couldn't finish them. We had potato wedges, fruit juice and Grilled Salmon Rice? ( I can't remember how they named it) All of them were fine anyway. The place that prettily decorated. :) Nice concept Sailor's! Penampang Bypass, 88300 Kota Kinabalu, Sabah. Looks like a really interesting place to chill with friends. 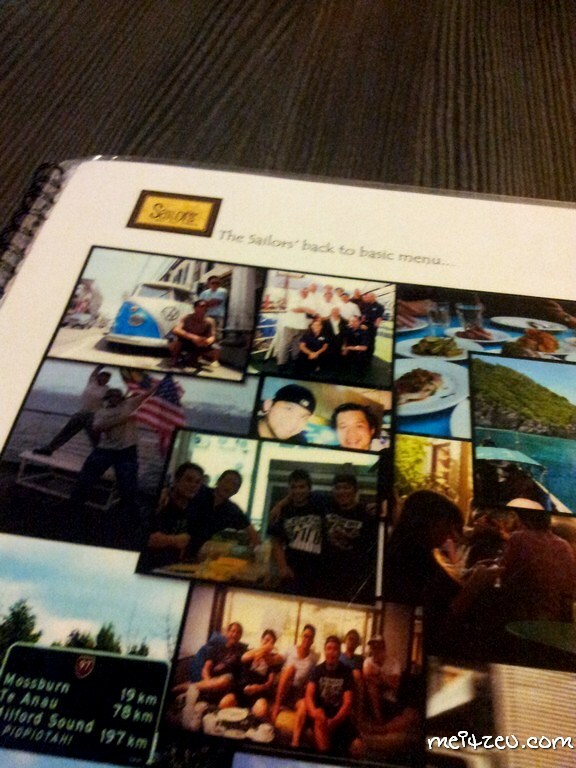 Sailor's place eh? Nice name but from the address it sounds like a more upper class type of place. chicken salad looks yummy! but what's the red slices on top? bacons? areghhhhh 3rd time load baru can get the comment box. Yeah, Meitzeu. I also experienced the same issue as Small Kucing. Quite number of times when I want to comment, your comment box won't appeared and have to load over and over again. The portion of the chicken salad looks big and very inviting too. This is like a cozy neighborhood cafe and the name is really something unique too. haha the chicken salad is shoooo big lol The cafe looks cute ! Omg love the food there! Gonna find one day go there!! The portion is so big but looks yummyy!